Business intelligence platforms can help enterprises analyze data from various sources to inform decision-making. The six free tools highlighted here are among the best and most popular today. Business intelligence (BI) software is designed to help enterprises discover and visualize their data to drive better business outcomes. These widely deployed applications come in various forms, including high-priced offerings, but many businesses are well served by free services that incorporate most of the key features organizations need. 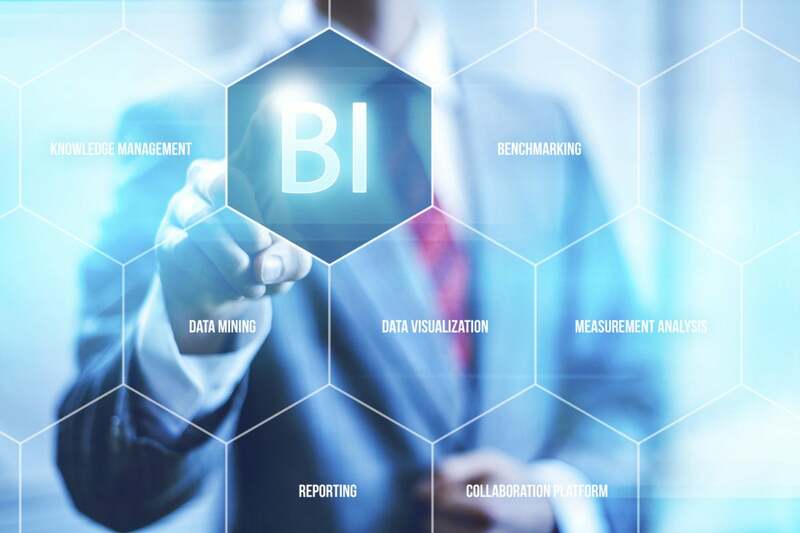 There are many factors and options to consider when evaluating BI tools because some are better suited to particular uses, while others require more extensive coding skills or a background in data science. We’ve reviewed dozens of providers to identify the best free BI software on the market today. After weighing their strengths and limitations, studying reviews by industry leaders and analyzing rankings from various research firms, we’ve selected the following six apps (presented in alphabetical order) to help you find the solution that's best for you. BIRT is an open source business intelligence platform that has been downloaded more than 12 million times and is supported by more than 2.5 million developers from at least 157 countries, according to the Eclipse Foundation, a non-profit consortium of software vendors that supports the project. The BIRT dashboard can create various reports that visualize data and accomplish more advanced tasks such as grouping on sums and percentages of overall tools. Other reporting features include lists, charts, crosstabs, letters and documents and compound reports. BIRT, which is used by industry stalwarts like Cisco and IBM, can also be embedded in many other business applications to extend the capabilities of BIRT’s report engine and charting engine within applications that use Java. BIRT requires extensive coding skills so organizations that don’t have those resources might be better served by another app. Google Analytics, it should come as no surprise, is one of the most popular business intelligence platforms on the market today. More than half of all websites use the service, including about 70 percent of the top 10,000 sites, according to various firms that track online software usage. The cloud-based app features various visualization methods and creates data summaries in interactive dashboards. The service is especially powerful for companies that specialize in marketing or advertising and are particularly interested in tracking click-throughs and other visitor metrics to determine what content is performing above and below objectives. Core features of Google Analytics include data collection and management (collection APIs, tag management, configuration APIs, custom variables, data import and user access controls); data analysis, visualization and reporting (data access, filtering and manipulation, funnel analysis, mobile-app reporting, real-time reporting, segmentation and user flow reporting); and data activation (audience demographics, intelligence and anomaly detection, multi-touch attribution, predictive analytics, publisher integrations, remarketing integrations and app notifications). Thanks to a massive and sustained advertising campaign, IBM Watson Analytics is one of the most well-known business intelligence programs on the market. The free version of IBM Watson Analytics features a full range of self-service analytics, including access to data refinement and warehousing services. The platform is driven by a powerful analytics engine combined with natural language processing capabilities that make business intelligence customizable and easy to learn. The smart assistant can help businesses and professionals from various disciplines and with a variety of skill sets, including those with data science and data visualization skill sets. IBM Watson Analytics can also help users discover insights, predict outcomes, visualize results, create reports and collaborate with others. Watson Analytics Free Edition only supports flat files with no more than 100,000 rows and 50 columns. It is also limited to a total data storage of 500 MB. Jaspersoft offers five of its open source programs for free via a community program. JasperReports Server, the most popular and feature-rich of the programs, is a standalone and embeddable application that provides reporting and analytics for enterprises. The software includes extensive database support, flexible server architecture, centralized reporting and analytics, secured data access and auditing, and online analytical processing analysis across multiple attributes and time periods. Tibco, an infrastructure software vendor that acquired Jaspersoft in 2014, boasts an impressive list of customers, including Time Warner Cable, the government of British Columbia, Groupon and Vanderbilt University. Other free community editions of Jaspersoft include JasperReports Library, Jaspersoft ETL, Jaspersoft Studio and Visualize.JS. Microsoft also provides a free version of its business intelligence program, Power BI Desktop, which includes up to 1 GB of data storage and 10,000 rows of data per hour. The cloud-based analytics service is designed for non-technical professionals who want to keep tabs on their business by exploring data more deeply through interactive visual reports, built-in connectors and reports from a wide variety of sources. Microsoft Power BI features dozens of data connectors so users can incorporate information from various sources into their queries. The platform also empowers businesses to transform CSV data and Excel spreadsheets into visually appealing reports that can be shared with others or published online. Finally, Microsoft Power BI features an impressive number of customizable visualizations so users can arrange data in all types of charts, from bubbles to table heatmaps, tornado charts, aster plots, histograms, cards and more. Qlik offers free versions of three of its most robust programs — QlikView Personal, Qlik Sense Desktop and Qlik Sense Cloud. The personal, or free editions, are best for solo use because collaboration and sharing is limited, but they have many of the same core functions as the full versions. QlikView is designed to help businesses consolidate data from multiple sources, explore associations in the data, visualize the results and discover insights that can lead to better decisions. Qlik Sense enables professionals to create personalized visualizations, reports and dashboards in a drag-and-drop interface. The platform also features data compression, a rarity in business intelligence software, that can compress in-memory data to a tenth of its initial size so users can complete operations faster.